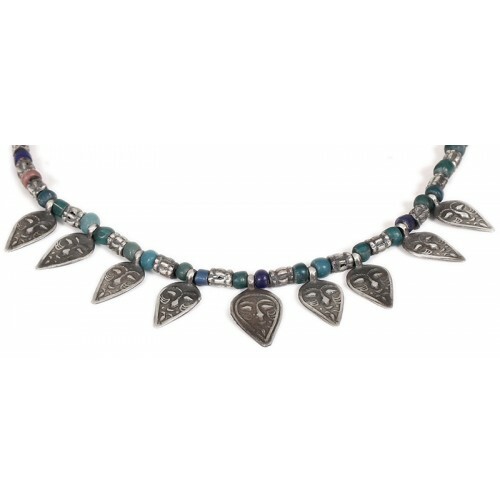 Urartian mask necklace is designed and hand-made by Atasoy Art by Urartian folk technique. 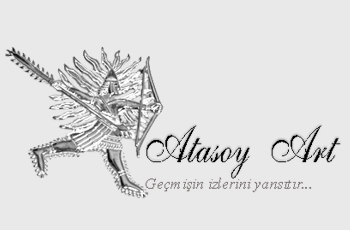 Original Urartian figures are used with lapis and jade stones. Dimensions: Length 44 cm, mask middle 2cm, others 1.5 cm.